You can easily find out a practical dock to dock your iPhone for charging and syncing. 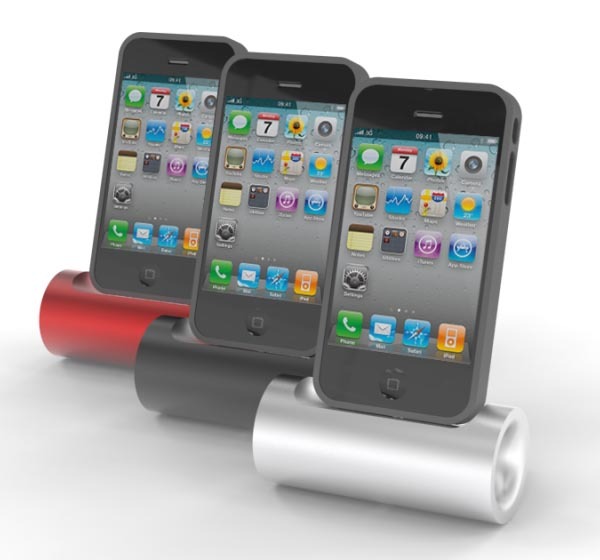 But if you need more functions such as amplifying sound, the following LIL KIKR iPhone dock should be more suitable for you. 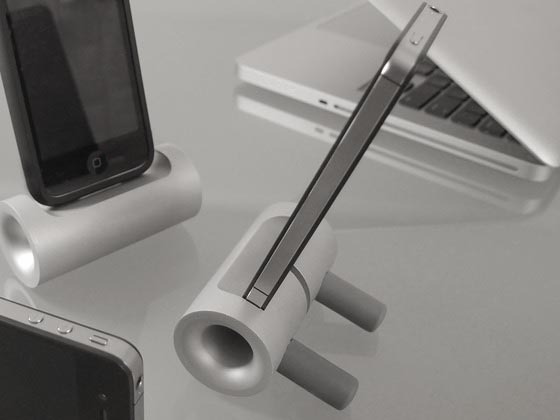 LIL KIKR is an elegant, versatile, portable docking station designed for iPhone and iPod. As we can see from the images, the iPhone dock features a cylindrical design, while the two kickstands on the back securely keep the iPhone dock and your iOS device in place. The cradle is placed on the top of the dock constructed of aircraft grade machined aluminum, along with a transplant tray in order that your iPhone or iPod touch comfortably rest on the portable docking station, and the slightly tilt angle offer allows you conveniently use your iPhone. In addition to charging and syncing your iPhone and iPod touch, the iPhone dock also features two well-designed channels to amplify the sound from your iPhone or iPod touch and clearly receive the sound to microphone. At present, the designer of LIL KIKR is raising fund on Kickstarter. 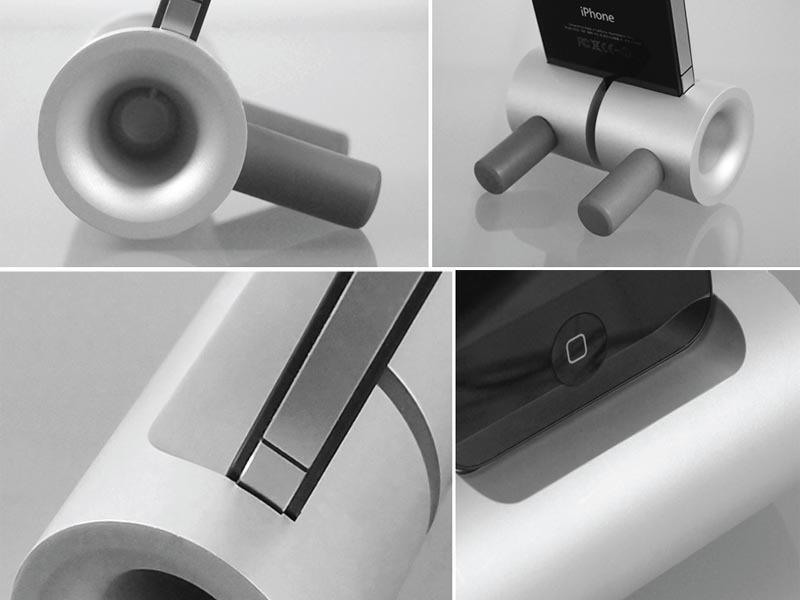 Pledge $50 will let you own the versatile iPhone dock. If you’re interested, jump to Kickstarter official site for more details. Additionally, also don’t miss other nice options via “iPhone dock” tag.